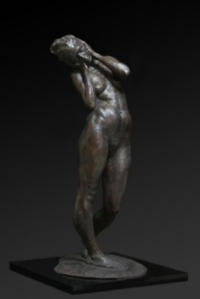 When you visit your Nashville Tennessee bed and breakfast during the week of March 12th - March 19th, you should put the delightful Haynes Galleries "Celebrating Form: Figurative Art and Sculpture" and the scared halls of Country music, the Grand Ole Opry on your list of places and events to attend! The beautiful Haynes Galleries presents "Celebrating Form: Figurative Art and Sculpture" a collection of work that showcases American Realism at its finest! Located on the Music Row Roundabout in Nashville Tennessee, the Haynes Galleries has presented some of the most impassioned art in America, including sculpture, painting and photography from the 19th, 20th, and 21st Century. "Celebrating Form" is a spectacular display of miniature figures to impressively ambitious figures from artists Alicia Ponzio, Daniel Sinclair, Alan LeQuire and Rick Casali. 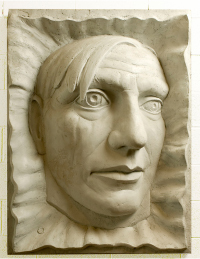 Two of the pieces that are must sees include a plaque sculpture called "Three Quarters Picasso" and "Musica" by artist Alan LeQuire. Complimenting the sculpture are paintings by artists Zoey Frank, Milixa Moron, Richard Greathouse, Adrian Gottlieb and Nicholas Raynolds. Some of the artists that graze the walls of the Haynes Galleries bridge three centuries of American Realism and include the likes of William McGregor Paxton, John Singer Sargent, Stephen Scott Young, David Brega, and the Wyeth family. Have you visited the Haynes Galleries? What is your favorite work of art? Tell us on our Facebook page! From the hallowed halls of country music comes the Grand Ole Opry, the longest running broadcast show in the world as the first broadcast was in 1925. The walls of the Grand Ole Opry's Ryman Auditorium has heard the songs of such music legends as Patsy Cline, Hank Williams, Roy Acuff, Minnie Pearl, the Carter Family, Johnny Cash and contemporary and undoubtedly future legends Dolly Parton, Reba McEntire, and Garth Brooks, to name a few. A trip to Nashville is just not complete without a visit to the Opry and if you are going to be in town from March 12th to 19th, you may be able to see Ricky Skaggs, The Whites, Bill Anderson, Easton Corbin, the Charlie Daniels Band and Sarah Darling. Caution! 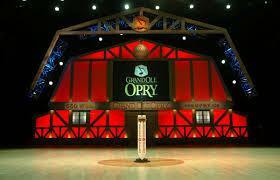 Don't be surprised if there are not a few "drop-ins" to perform, because a surprise guest appearance is what the Opry is all about! If the Ryman Auditorium is the "Mother Church of Country Music" then "Printers Alley" is where everyone who ever played at the Ryman got their start! Although it is actually named for the publishing and printing district of Nashville, in the 1940s nightclubs began opening and paved the way for legends Dottie West, Waylon Jennings, Hank Williams, Boots Randolph and Chet Atkins to cut their teeth. This is the Bourbon Street of Tennessee and a great way to end the night after catching a show at the Grand Ole Opry! 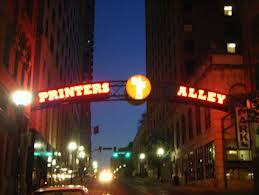 Do you have a favorite Grand Ole Opry or Printer's Alley story? Tell us about it on our Facebook page!